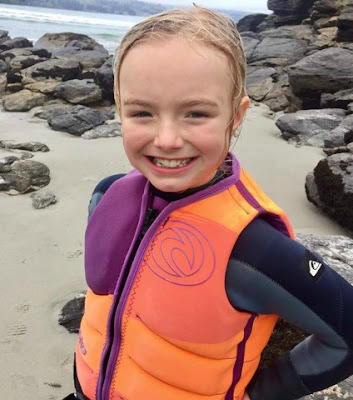 Nancy is 9 years old and was diagnosed with celiac disease at 4 years old. At what age was your child diagnosed with celiac disease? Nancy was severely constipated, grumpy, angry, bloated and short for her age. She was also a lovely wee thing frustrated by feeling yuck. 2 out of 4 of Nancy's cousins can not have gluten and her sister can not have gluten. Nancy is a lot happier and healthier although she still suffers from ongoing stomach issues. We are working on improving this for her. Stay positive. Have a 'all for one and one for all' attitude within your home and support them by also going gluten free (if possible!). Read, read and read some more on coeliac and gut health.